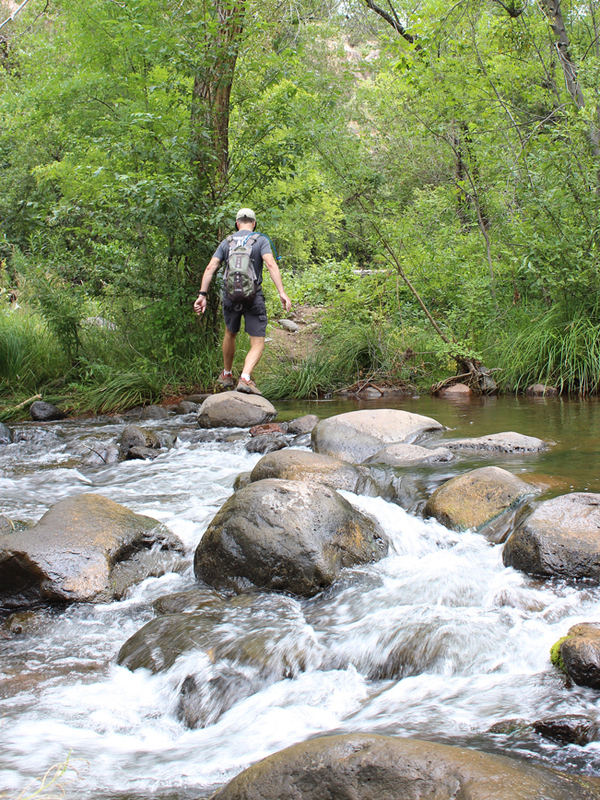 Experience Oak Creek, up close and personal, on this creekside hike! 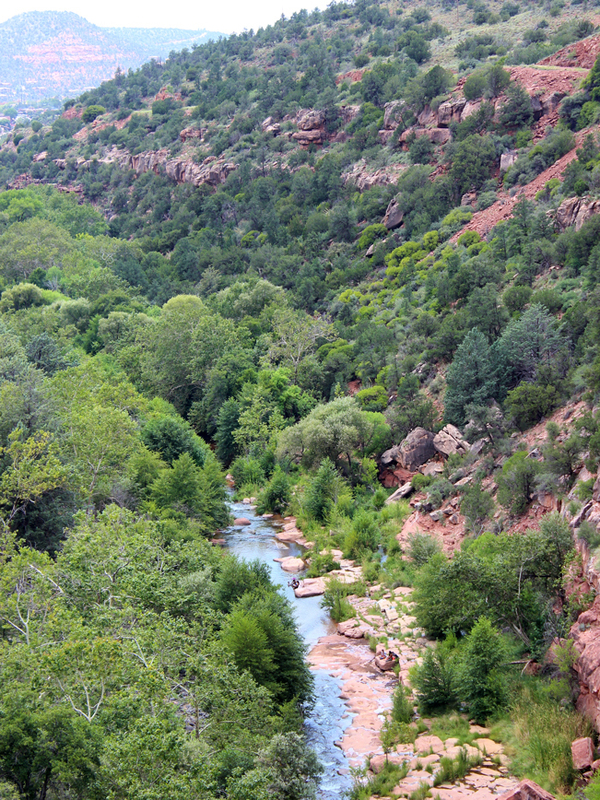 Paralleling Sedona’s cool waterway, the Huckaby Hiking Trail traverses red rock ridges and treelined riverbanks. Boulder lined swim holes make the northern end perfect for hanging out. 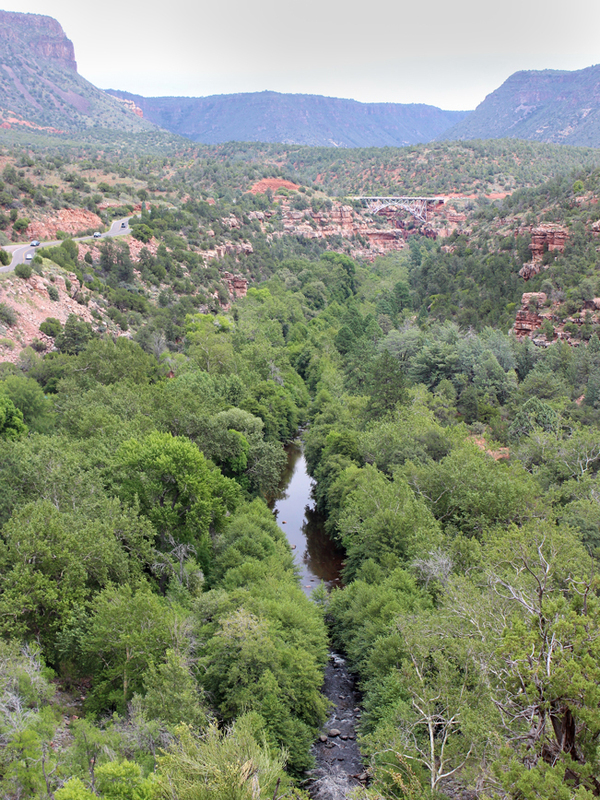 Oak Creek Canyon is, without a doubt, one of Arizona’s most spectacular areas. Millions of tourists make the scenic drive every year. 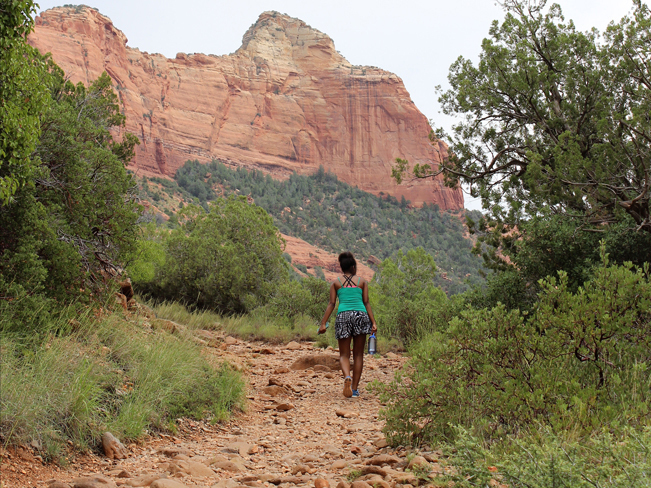 But to experience its awesome beauty up close, a hike on the Huckaby Hiking Trail is the best! This out-and-back hike can be kicked off from the teeny (and often full) parking lot at Midgley Bridge. Or started at the ample trailhead off Schnebly Hill Road. Heading out from the Schnebly Hill Trailhead the trail first winds through sandstone hills dotted with aromatic Juniper. From a high ridge, 3/4 of a mile into the hike, views of Munds Mountain and Cathedral Rock are stunning! This section of the trail has nominal shade, so be prepared for some serious sunshine in Summer. 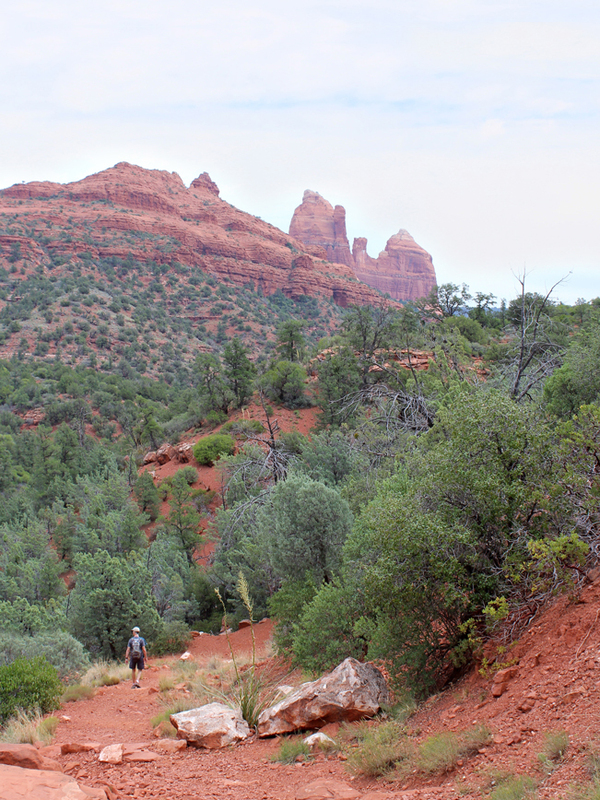 At the one mile mark, the Huckaby Hiking Trail curves around the top of Mitten Ridge. From this vantage point Oak Creek sparkles and babbles below. The trail’s end, at Midgely Bridge, is easy to ID in the distance. The trail now descends a half-mile to the creek. The next mile is fantastic! Sprinkled alongside the now lushly treelined path are awesome little creekside hideaways, just calling for exploration. As the Huckaby Hiking Trail nears its northern end, it crosses the creek twice. Random stepping stones help. But think twice before hopping across in Spring, when the creek is high and moving fast! Reaching the area below Midgely Bridge, huge sandstone boulders are placed 100 percent perfectly for a well deserved break (and a quick dip). Turning left, the trail now winds its way back up and out of the canyon. From the northern trailhead at Midgely Bridge, there are excellent views back over the creek. If you’re lucky enough to nab one of the few spots at this end, the Huckaby Hiking Trail can be done in reverse. 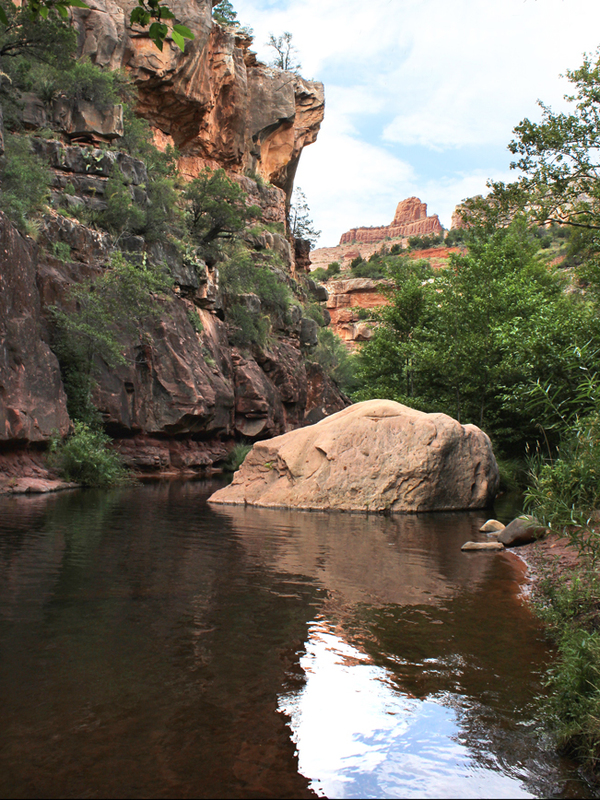 Oak Creek is one of only a few perennial streams in Northern Arizona. 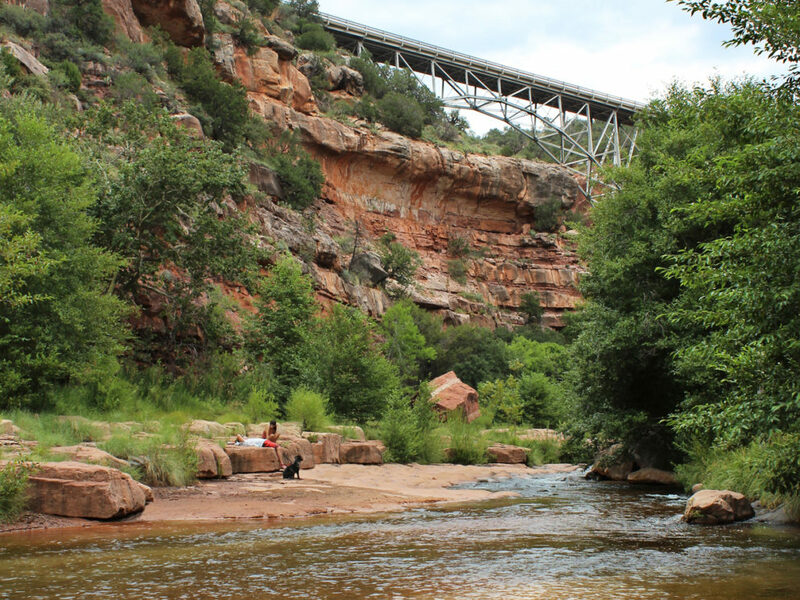 It ultimately flows into the Verde River, just south of Cottonwood. 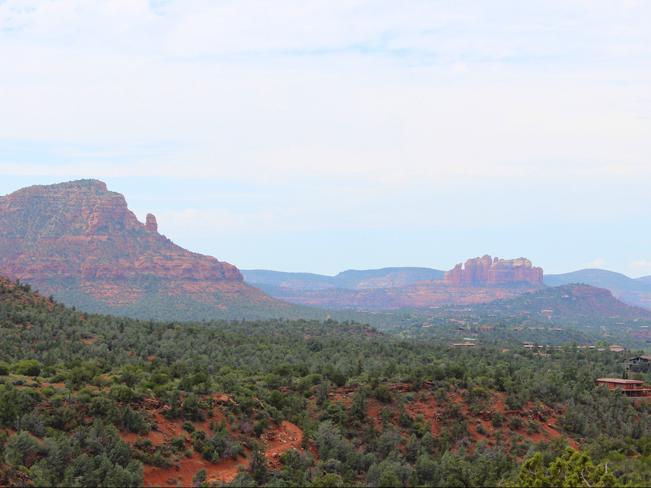 Directions From the intersection of 89A and 179A (in Sedona), take 179A south for 0.3 miles to Schnebly Hill Road. Turn left/east onto Schnebly Hill Road and continue for 0.8 miles to the well marked turnoff for the trailhead. It is on the left side of the road.